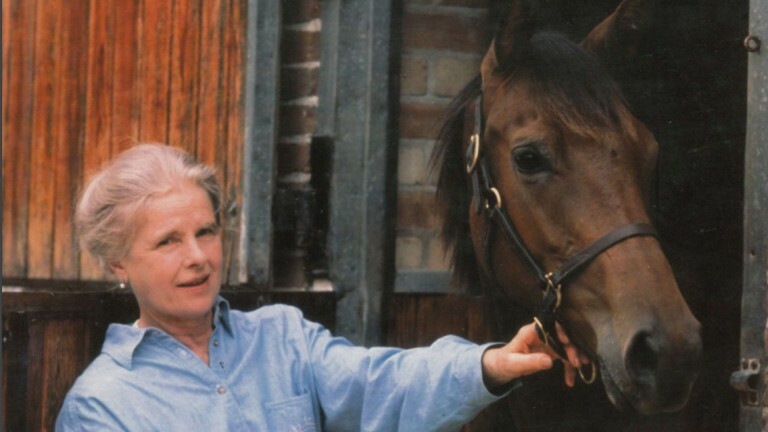 Dawn Wigan, the mother of James Wigan of London Thoroughbred Services, has died peacefully after a long illness on Sunday, April 30 aged 98. Having inherited the property at West Blagdon in 1959, one of five farms forming the Boveridge Park Estate of her father Charles Gordon - a very successful owner-breeder whose horses were trained by Sir Jack Jarvis - Wigan, together with her husband Dare, who died in 1993, ran the small but highly successful West Blagdon Stud. The stud is best known for its foundation mare Pelting who produced 12 winners from as many runners. Pelting is the ancestress of countless Group winners such as Rebelline, Telescope, Central Park, Bassenthwaite, Kool Kompany, Keen Hunter, Hadeer, Rashbag, Velvet Moon, Moon Ballad, Tasleet and Saturday's Listed winner Home Of The Brave. The Wigans had their horses in training with Sir Noel Murless until his retirement, and then with Sir Michael Stoute. They were also successful foal vendors at Tattersalls' December Sales, where they achieved the top price on five occasions despite the stud averaging four broodmares at that time. The stud has been expanded in recent years under her son James's ownership. Wigan is survived by four children - Lola, Camilla, James and Dominic.